Our product range includes a wide range of vicker hardness tester for ceramics. 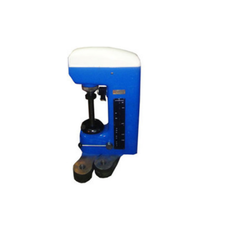 We are instrumental in offering a quality range of Vicker Hardness Tester for Ceramics. High-quality components and spare parts are utilized to manufacture the offered testers that are used for testing hardness of ceramics. The material used in the manufacturing process is sourced from reputed vendors of the market.